Hot Jazz – a home you never want to leave! 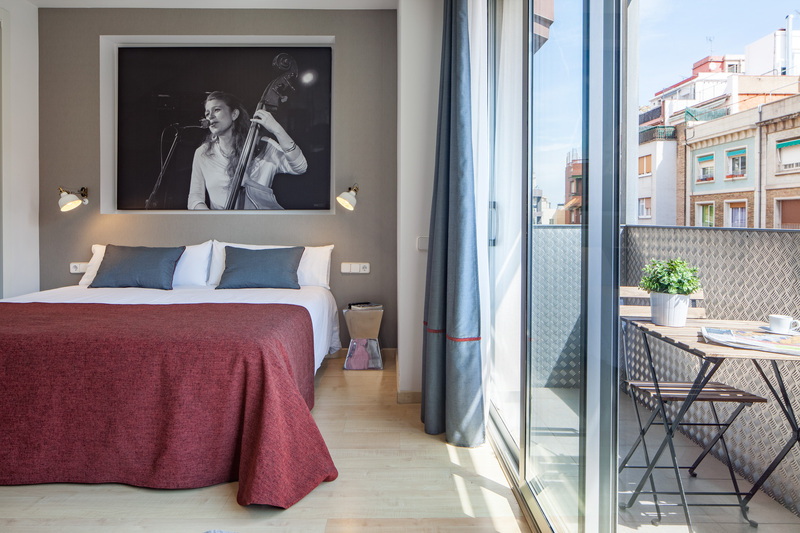 Hot Jazz belongs to a new accommodation concept in Barcelona, called JAZZ BCN Apartments. Cool Jazz and Hot Jazz are both vacation rentals, which are inspired by the same named music genre. Hot Jazz, designed in a warm and earthy tone, is the perfect vacation home for families and group of friends. Thanks to its unbeatable location in Sagrada Familia, it is far away from the buzzling city center, but still in near proximity to great restaurants, cafés and bars, and other important monuments in Barcelona, such as Sagrada Familia and Hospital de la Santa Creu i Sant Pau. designed by famous Catalan architect, Antoni Gaudí, it is the most sought out monument in Barcelona. Construction of this mystically beautiful and humongous basilica began in 1881, and hasn't been been finished yet. It is estimated to be done by 2026 – 145 years of construction. another important Modernist architecture near Hot Jazz is the old hospital. The hospital was designed by Lluís Domènech i Montaner. It is located just at the other end of Avinguda de Gaudí. The owners of both apartment complexes were inspired by the multifarious ways of Jazz. Where Cool Jazz has a blue theme, and exudes a cool environment, Hot Jazz is the total opposite. This apartment is decorated in a warm and cozy hue, evoking feelings of tranquility and hominess. 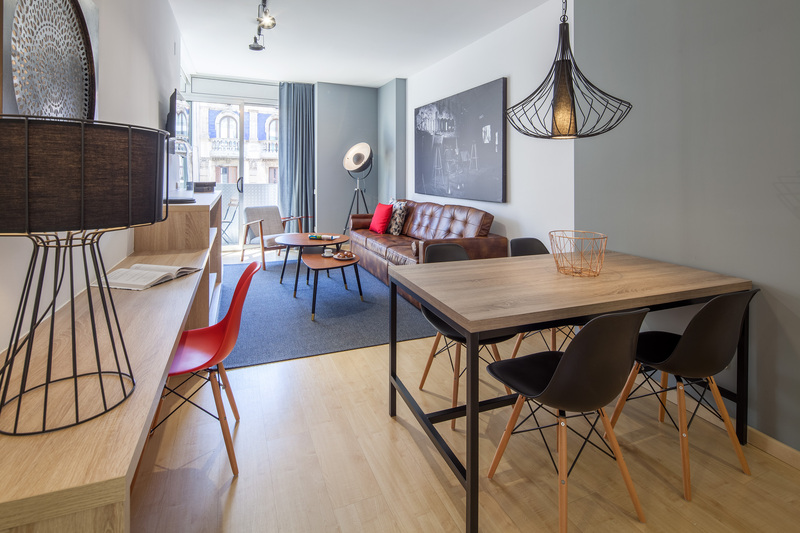 The cozyness of the apartment invites everyone to relax after a long and busy day in the city. Have a nice cup of coffee on the terrace or start your day right with a nice brunch. Come and enjoy Barcelona in this beautiful holiday rental. Hot Jazz will be the ideal place to enjoy a dram vacation thanks to its nice terrrace.